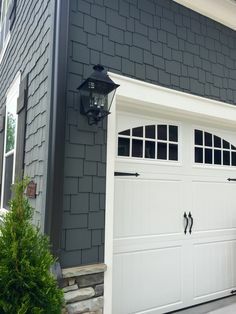 Most common materials used to construct garage doors are aluminum, steel, wood, fiberglass and plastic. Aluminum is the go-to material for a lightweight and low-cost door, built with precision and a good esthetic effect. Aluminum doors are rust-proof, durable and demand little maintenance. Main flaws of aluminum are that it is quite soft when compared to steel and these doors offer poor heat insulations because aluminum is very heat conductive. 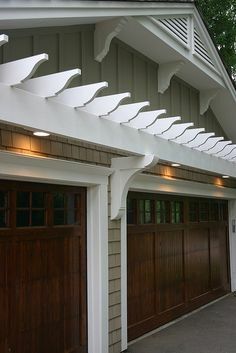 Fiberglass or vinyl usually works together with a steel core to create strong, composite units. 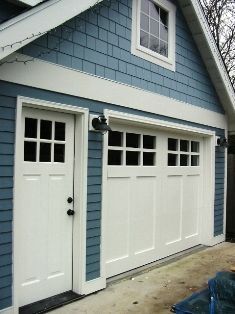 With good foam insulation, these doors fall into the premium range and can be quite expensive. 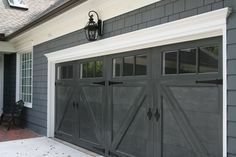 Steel doors are the right choice for many purposes, from your house garage to heavy-duty industrial grade doors. Steel is tough, very durable, affordable and easy to work with. Also, with proper insulation, doors made of steel can offer excellent insulation properties. Wood doors are beautiful, especially if handcrafted and ornamented. Wood offers premium aesthetic appeal, but it demands the most maintenance and can come with a very high price tag. If not treated right and if the low quality wood is used, they can warp and break easily. When it comes to garage door openers (motors), they come in many different sizes. Of course, everything depends on the dimensions and the size, ultimately, the weight of the door the opener has to lift. They can also be equipped with chain or belt drive, screw drive, remote controls, wi-fi connections, battery backup, control panel, lights and many more features.